Here in Nashville there are many different types of water heaters that will work great for you home. On demand & tankless type heater is great for people who will be in their home for long periods of time because of all the gas savings. However regular hot water tanks and electric hot water tanks are great also if your in the home for a shorter period of time. No matter what type of water heater you are looking for – we have you covered. Contact FurnaceUSA today to learn more or visit our FurnaceUSA Nashville page to see all the products we feature. With a new water heater from FurnaceUSA you skip all the wasted time, markups & overhead of the traditional heating and cooling industry. No longer will you need to have a salesperson in your home to quote you on a furnace, heating or cooling system – let our technology based solution save you time and money and we’ll quote you online! If you face an issue with your air conditioning during those hot summers night it can be very frustrating. It is better to get all your HVAC appliances checked before peak season to avoid these issues when you want your heating and cooling to work. We are FurnaceUSA provide all HVAC repair and maintenance service in the Nashville area. We specialize in repairing all types of HVAC appliances such as tankless water heater, hot water heater, electric water heater, gas water heater, and tankless gas water heater. Our technicians are certified and are able to handle all the problems with your lowes water heater, water heater installation Bradford White, tankless hot water heater, and hot water tank. While most HVAC contractors do not have certified technicians and HVAC gadgets to deal with the breaks and repair of HVAC types of equipment, at FurnaceUSA we have all the manpower and technical equipment to take care of all major and minor repair of HVAC appliances and units. Good HVAC technicians will give you repair and installation options to bring your water heater cost down. Do you want to install a 40 gallon water heater? We will help you with all types of water heater installation. No repair task is too big or small for us. Whether you are looking for a plumber, or want a complete service package of your water tank, we will give you the affordable and best solutions to fix the faults. All our technicians are factory trained and have the ability to fix all HVAC appliances of the leading brands such as Bradford White, Rheem, AO Smith, Noritz, Bosch, and Navien. What makes us different from us is our experience and approach to deal with HVAC issues. While most service providers replace the damaged unit with old spare parts, we take care in using only the original and new parts and check that all our spares meet the highest standards of HVAC parts. We will also give you a warranty of the part we replace and will give you free service if you experience any faults in the HVAC equipment that we repaired. We will even replace all the parts that we put in for free if the fault is with our repairs. Our prime objective is to ensure the complete satisfaction of our customers. We are available to serve you round the clock. You may call us or reach us online to book a visit even at late nights and on weekends. If you want to get our estimates you can schedule your own quotes on our website. Never depend on an average service for your HVAC repair and get in touch with FurnaceUSA to get the best HVAC solutions in Nashville. We love to work in Nashville and our technicians are more than happy to serve you for all HVAC repair, and installation solution. Our technicians are a call away and we are willing to sit with you and give you a free consultation and clear-cut pricing for our repair and services. 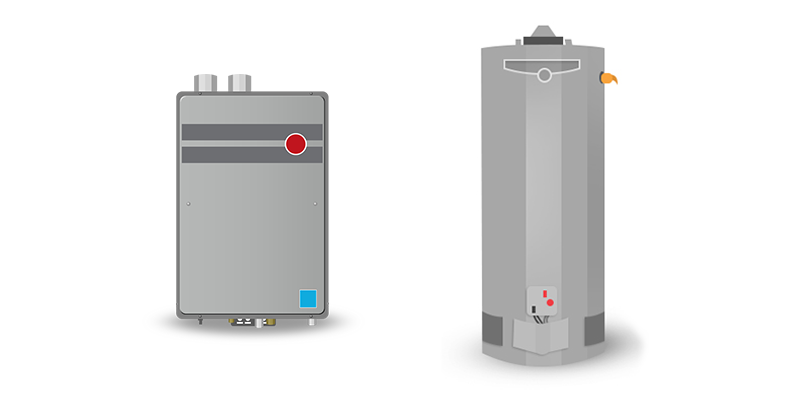 FURNACE USA – YOUR NASHVILLE WATER HEATER INSTALLATION EXPERTS!